How is faith an answer to prayer? Imagine if each time you had the urge to text, tweet, email, log onto Facebook, or phone a friend to share some heartfelt need, you stopped and prayed instead. Really prayed, trusting God to answer. Asking and believing in the same breath, then waiting and trusting in the next, knowing God responds to his children individually. He not only listens to us, he loves us. He not only loves us, he knows what is best for us. But how can we be certain God knows what's best? And how do we trust him when the life we're living now doesn't fit anybody's definition of good, let alone best? Oh, do I have a story for you. 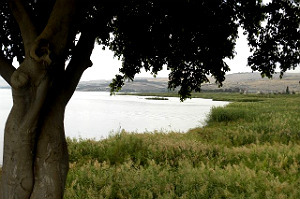 Come with me to first-century Capernaum, a fishing village on the northern shore of the Sea of Galilee — a lake, actually, and a beautiful one, surrounded by low hills. This is the town Jesus called home as an adult. 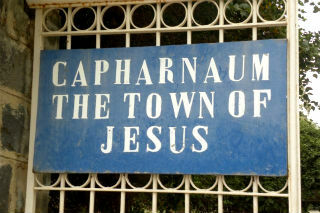 "Leaving Nazareth, he went and lived in Capernaum, which was by the lake" (Matthew 4:13). 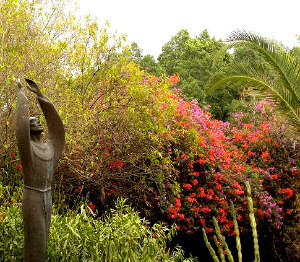 A place of miracles and healings. A sacred place. I visited there one autumn. Took shelter from the rain beneath a grove of olive trees. Taught the stories of biblical women while standing amid the synagogue ruins. Wept at the nearness of Jesus. This particular sister's story always does me in. Grabbing tissues now. A woman was there... (Mark 5:25). A woman. No name. No age. Could be any of us. Jesus has just arrived on the lakeshore, where a large crowd gathers around him, pressing him from every side. When you're a miracle worker, everyone wants a piece of you. Our woman is "among them" (CJB), "in the crowd" (CEV), hoping no one recognizes her. She's come a long way to see this man. Thirty miles, some scholars say — a great distance for a woman who is not only unclean but unwell. ...who had been subject to bleeding... (Mark 5:25). Are we talking about that kind of bleeding? In the Bible? Yes. Call it what you will — "a flow of blood" (AMP), "a hemorrhage" (CJB), "the bloody flux" (WYC) — this is every woman's nightmare. An endless period. Not just one week a month, but every week of every month, she "suffered ... with constant bleeding" (NLT). ...for twelve years (Mark 5:25). This unnamed woman has earned our sympathy in a matter of words. The pain, the shame, the hygiene issues, the anemia, the exhaustion. Desperate for relief, she did what we all do. She sought earthly help first. She had suffered a great deal under the care of many doctors... (Mark 5:26). Are we reading this right? The doctors increased her suffering? Sadly, that's what every English translation tells us. She "endured many things under many physicians" (LEB), who "treated her, and treated her badly" (MSG). Not only is her body bleeding. Her bank account has been bled dry as well. ...and had spent all she had,... (Mark 5:26). Bless her, she "spent everything" (CEB), "her life savings" (CJB). So she is not only in pain. She is also living in poverty. ...yet instead of getting better she grew worse (Mark 5:26). I can't bear it, can you? Her health is shattered, her money is gone, and she's worse now than she was before. But she has not lost her grip on hope. This is what makes her story so remarkable. She doesn't give up on God. She doesn't — at least in the biblical text — question him. She doesn't abandon her faith, even though her world appears to be falling apart. She still believes. Faith is all she has left. And faith is all she will need. Many of us struggle daily — with health concerns, money woes, loneliness, fears — wondering why God hasn't delivered us from our misery. If he can end it, why doesn't he? Anyone who thinks they have an answer to this question is making stuff up. We cannot speak for God. We cannot explain why he acts or does not act. What we can do is trust him, put our hope in him, and seek his face. When she heard about Jesus,... (Mark 5:27). 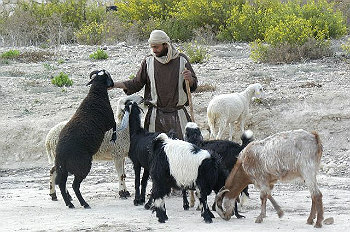 You know he was the talk of Galilee. All those healings? All those miracles? Our girl "heard the reports" (AMP). She kept her ear to the ground. She kept her heart open to the possibility. And when the news made it to her corner of the world, she made tracks for Jesus Town. ...she came up behind him in the crowd... (Mark 5:27). This is very descriptive. She didn't just walk up to him. She came from behind, where she could see him, but he couldn't see her. Why? Because she's a bleeding woman. She really shouldn't be out in public, where someone might brush against her. The rules for women during their monthlies were very strict: "anyone who touches her will be unclean till evening" (Leviticus 15:19). The one thing no one wants to do is to touch her, or have her to touch them. That's why she approaches him from behind "under cover of the crowd" (MSG). She's hoping she can snag a miracle, then make a run for it, with no one the wiser — least of all, him. This woman who isn't supposed to touch anyone is about to break the Law. ...and touched his cloak,... (Mark 5:27). Whether you call it his "garment" (ASV), his "clothes" (CEB), or his "robe" (NLT), it's his outer clothing, the first thing her fingers could reach. And she must be bending down, nearly crawling on all fours, because the way Matthew tells it (Matthew 9:20), she touches the "hem" (KJV), the "fringe" (NASB), the "bottom of his coat" (NLV). Perhaps she feels unworthy of touching his sleeve or his shoulder. Or perhaps she just doesn't want to be discovered. Here's what matters most: she has the faith to reach out in the first place. She believes the Lord has the power to heal her. ...because she thought, "If I just touch his clothes, I will be healed" (Mark 5:28). She thought. She believed. She trusted. And because of that she reached. She put her faith in motion. Truth is, she did so miles ago when she left the safety of her home and started out for Capernaum. There it is. The big aha. It was a walk of faith on the outside, yet a leap of faith on the inside. Too often we base our faith on how we feel. A better measure is how we act, what we do. This is what James is trying to get across: "If it is just faith and nothing more — if it doesn't do anything — it is dead" (James 2:17). She knew exactly the outcome she wanted and she believed with all her heart that it was possible. This thought of hers must have rolled over and over in her mind: "I shall be made whole" (ASV), "I shall be restored to health" (AMP), "I'll be made well!" (HCSB). It is right and good to pray for faith. Then it's time to move. Stretch out our hands. That's when miracles happen. Immediately her bleeding stopped... (Mark 5:29). She didn't just feel better; "her flow of blood was dried up at the source" (AMP). Hallelujah! ...and she felt in her body that she was freed from her suffering (Mark 5:29). Even more than a physical kind of "feeling," this was a spiritual awareness. "She knew she was well" (CEV). Think of it! All the burdens she brought with her are gone in an instant. No more pain, no more shame, and no more blood. At once Jesus realized that power had gone out from him (Mark 5:30). Uh-oh. She's not the only one who noticed this seismic change. Jesus sensed it too. This miracle took place in the spiritual realm — her faith, his power — yet both of them felt it in the physical realm. Blood stopped. Energy flowed. Zap. He turned around in the crowd and asked, "Who touched my clothes?" (Mark 5:30). Right about now our girl's stomach must be tied in a knot. He knows. Even though he's asking a question, she can see he already has the answer. He turned around, didn't he? He's looking for her. He knows. Alas, the "duh-sciples" do not know. They usually don't. A miracle occurs right in front of them, and they miss it. We do the same, all day long, usually because we're looking in the wrong direction. Or thinking too much about ourselves. "You see the people crowding against you," his disciples answered, "and yet you can ask, ‘Who touched me?'"... (Mark 5:31). Bless them. They are clueless here. You can almost hear a faint note of scolding in their words, or at the very least, incredulity. "Look at how many people are pushing against you! And you ask, ‘Who touched me?'" (NCV). Jesus doesn't let their lack of faith slow him down. He's too busy eyeballing the crowd. But Jesus kept looking around to see who had done it... (Mark 5:32). The woman could have avoided his gaze, crawled away, kept her healing to herself. But those are cowardly acts, and faith always requires a measure of courage. She walked many miles. She stretched out her hand. This is her third act of faith: she throws herself at his mercy. Then the woman, knowing what had happened to her, came and fell at his feet... (Mark 5:33). This is so brave. After all, she's just stolen a miracle! Jesus might take it back, if such a thing could be done. She might start bleeding again. The crowd might stone her for breaking the Law. Who knew how this might end? No wonder she's frightened. And yet, she speaks — another act of faith. ...and, trembling with fear, told him the whole truth (Mark 5:33). We can see her shaking all over as she confesses "the whole story" (ERV) to Jesus. What exactly does she tell him? Leave it to Dr. Luke to fill in the blanks for us: "In the presence of all the people, she told why she had touched him and how she had been instantly healed" (Luke 8:47). Her faith is so strong, she holds back nothing. I believed. I touched. I was healed. He said to her, "Daughter,..." (Mark 5:34). Hit the pause button. This is too big not to mention. It's the only time Jesus addresses a woman as "Daughter," and it's this woman. This ostracized, unclean, don't-get-anywhere-near-her woman. He's telling everyone in the crowd, "She's family. She's one of us. She's mine." And then he tells her something amazing. ..."your faith has healed you" (Mark 5:34). We know the power went out from him. So, didn't he heal her? Yes, but she had to reach out, believing it would happen. For years, I struggled with the fact that she touched his garment, breaking the Law of Moses to do so. And then one day it hit me. If her faith was part of the miracle, then when she stretched out her hand she was already healed. The threads of that garment had nothing to do with her being made well. It was the power of Jesus passing through the fabric and meeting her where she was, crouched down behind him in the crowd. When he tells her, "you took a risk of faith, and now you're healed and whole" (MSG), that's not just for her sake. All the people pressing against him need to hear it, too. It's as if he is saying, This is how it works, people. This is what faith looks like. His last word to her is a sweet benediction. "Go in peace and be freed from your suffering" (Mark 5:34). Shalom. Peace. It's a freedom like no other. I was in the midst of working on this post when an email appeared. Ruth Ann, a seven-year breast cancer survivor, wrote, "I am thankful for each day I have. I was scared to death at first, but God gave me peace." Isn't that what we all long for? Not absence of troubles, but peace in the midst of them. Ruth Ann shared the whole truth, just like our woman in Capernaum: "I realized that God was in control, not me. God was and is with me." God is in control.God is with you. Ann Voskamp is a beloved author, blogger, Compassion advocate, wife, and mother. Her teaching, writing, and photography have blessed thousands. For more on Ann, check out her blog called A Holy Experience and check out her books and other resources. "Why Faith Is an Answer to Prayer and Prayer Is an Answer to Faith" by Ann Voskamp is licensed under a Creative Commons License. Heartlight encourages you to share this material with others in church bulletins, personal emails, and other non-commercial uses. Please see our Usage Guidelines for more information.